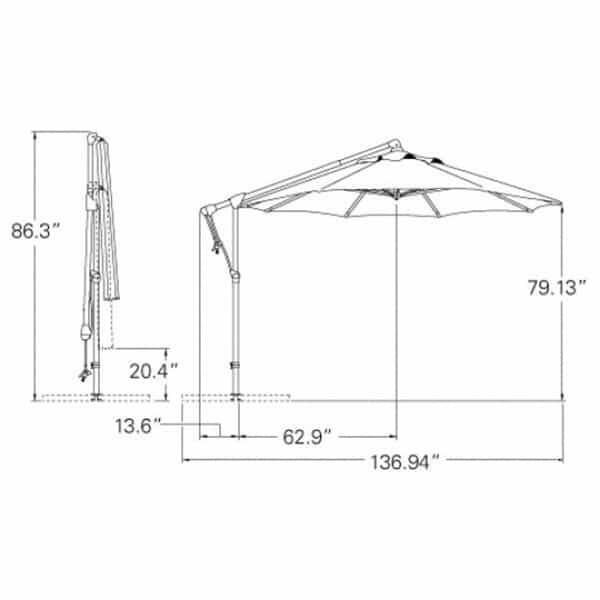 The 8.5' AG19SQ Square Cantilever Umbrella is made for superior functionality of coverage. Large outdoor umbrellas like the umbrellas belonging to the Cantilever group by Treasure Garden are typically used as stationary umbrellas that remain in one place for long periods of time. The durability of the umbrellas allows for this type of placement. Some umbrellas are inflexible and cannot offer all day, all-weather coverage. 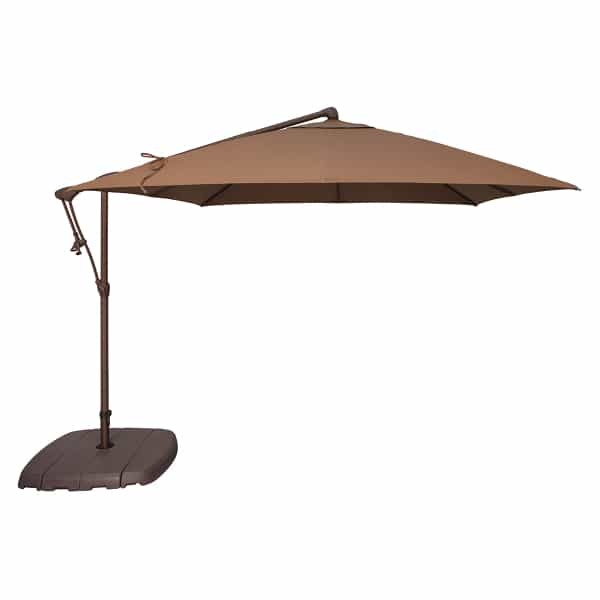 The tilt and lock mechanism coined by Treasure Garden is featured on the AG19SQ umbrella. That means that the umbrella tilts and locks into place. It tilts to up to 54 degrees both left and right. That means that when the sun is rising in the east, high in the sky midday, and faling by evening, the umbrella can follow with superior coverage. Winds from different directions may be blocked, slanting rain may be combated, and more. 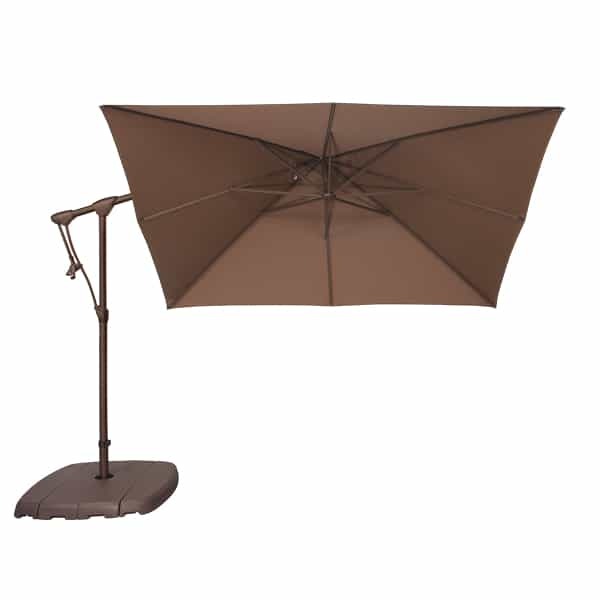 If you're investing in an outdoor umbrella for coverage and protection, find one with superior features.